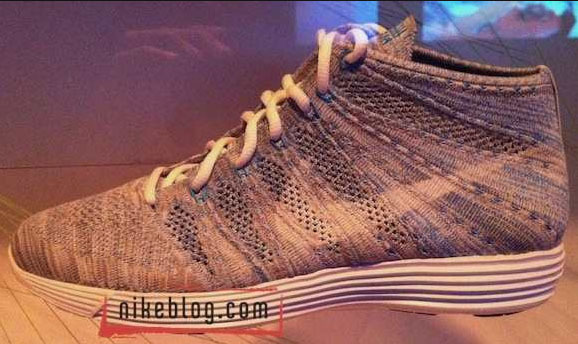 A first look at what will seemingly be the next model featuring Nike's Flyknit. 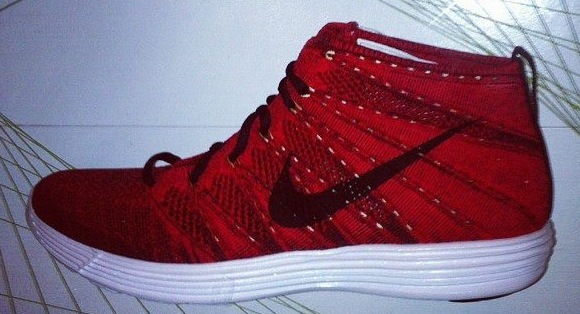 Images have surfaced of a new Nike Flyknit model, the Lunar Flyknit Chukka. This new Flyknit Chukka appears to have a very similar construction to the Flyknit Racer and Trainer, but with an obviously higher cut. 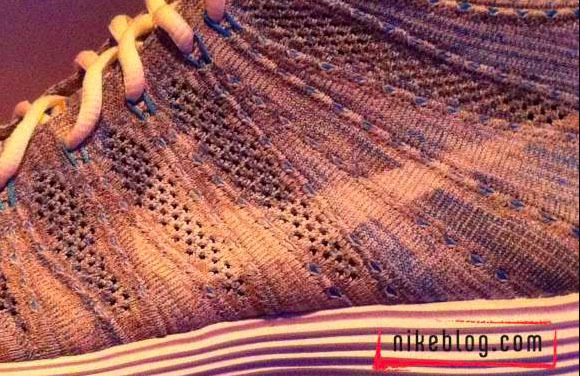 As the name implies, the Flyknit upper sits atop a Lunarlon outsole. We get a look at two colorways so far, with red and multicolored versions. No release dates are available yet, but stay tuned to Sole Collector for all news concerning the upcoming Lunar Flyknit Chukka.